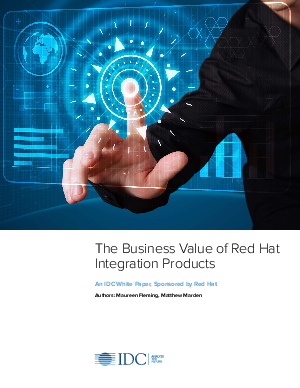 This assessment shows that enterprises adopt Red Hat Fuse because they believe in a community-based open source approach to integration for modernizing their integration infrastructure that delivers strong ROI. For these organizations, Fuse was part of a larger digital transformation initiative and was also used to modernize integration. IDC interviewed organizations using Fuse to integrate important business applications across their heterogeneous IT environments. These Red Hat customers reported that Fuse has enabled them to complete substantially more integrations at a higher quality level, thereby supporting their efforts to deliver timely and functional applications and digital services. Efficiencies in application integration with Fuse have generated significant value for study participants, which IDC quantifies at an average value of $75,453 per application integrated per year ($985,600 per organization).